Trans-Antarctic Crossing First Day Cover detail. 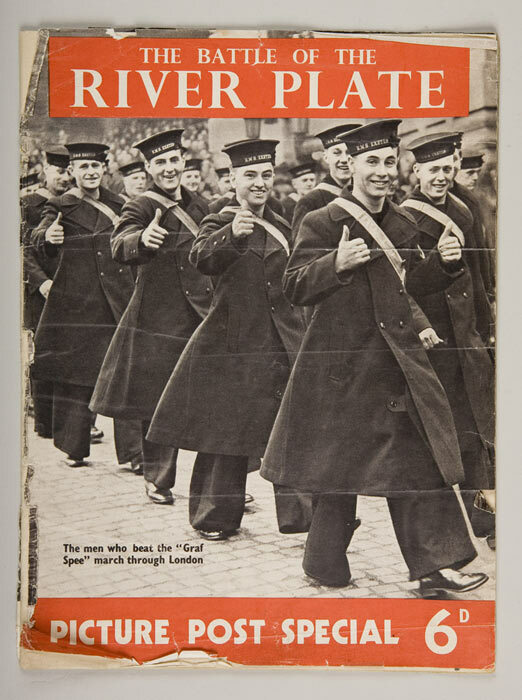 The Navy Museum ephemera collection is a wonderfully eclectic range of documents including leaflets, menus, Christmas cards, event programmes, fleet reviews, and much more. 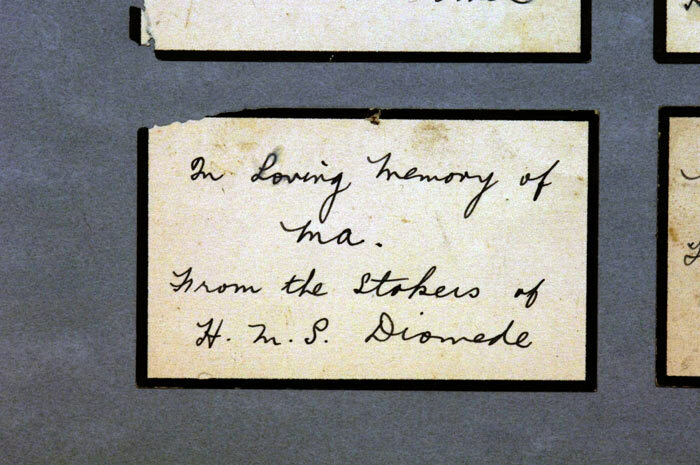 Ephemera is just that, ephemeral. It is produced to meet the need of the day and often disposed of as inconsequential. 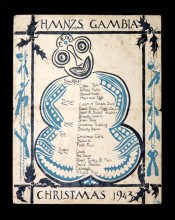 These items reflect New Zealand’s cultural history in a way that formal records cannot. They are an evocative reminder of our past. 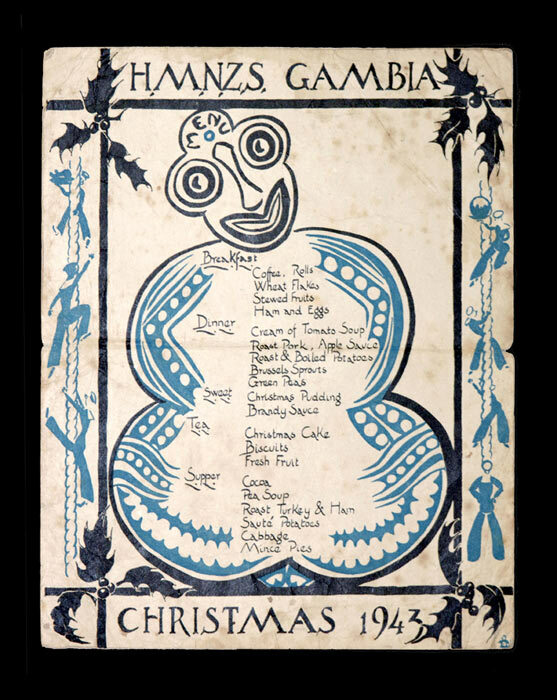 HMNZS Gambia Christmas Menu 1943. 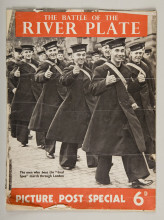 Battle of the River Plate Picture Post Special, 1939. 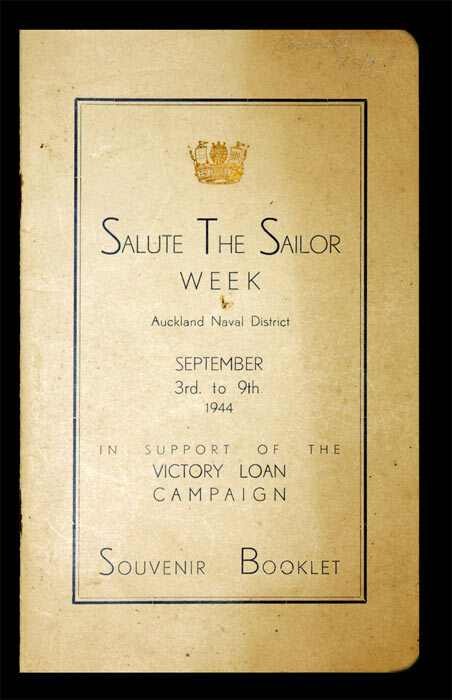 Salute the Sailor souvenir booklet, 1944. 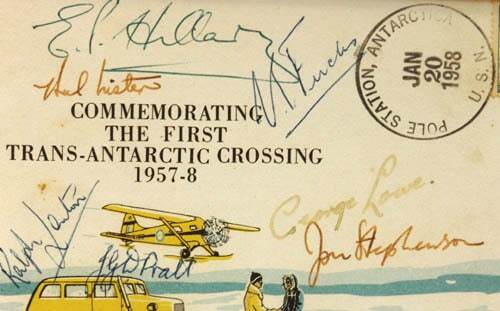 Trans-Antarctic Crossing First Day Cover.